We caught up with another great business that's thriving since receiving a Start Up Loan from Virgin StartUp. Jacqui and James are the co-founders of The Blue Orange Juice Bar in Poole, Dorset. Blue Orange Juice Bars is the first and currently only juice and smoothie bar in Poole. Inspired by a number of years spent in Bondi, Australia it became very apparent on our return that there was a gap in the healthy eating market outside of city centres or large shopping centres. 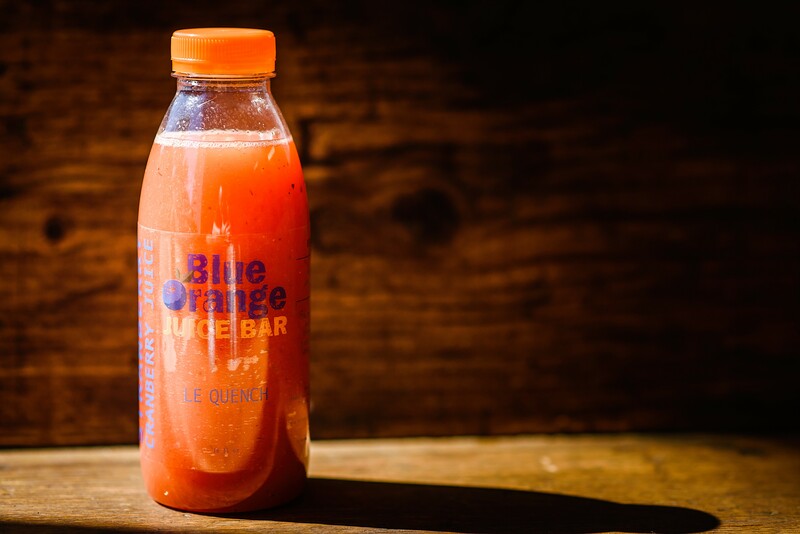 Blue Orange want to become the leading juice and smoothie provider in Dorset by becoming a community hub, engaging with our customer base and providing the best possible customer service. All of our juices, smoothies and healthy foods are made fresh in the shop or through our network of local producers. We are located on Church Road in Ashley Cross. We also live in Ashley Cross and had always thought this property, which had been vacant for a couple of years, would be a great location for something along these lines. So when we came up with the concept for Blue Orange this location was always our first choice. Ashely Cross, what with its mix of independent businesses and village atmosphere was also perfect for this concept. Being located on a junction it also provides fantastic visibility. We used to live in Australia for a number of years where healthy living and food options are much more prevalent than in the UK. This became ingrained in our day to day living and so on our return to the UK we were quite surprised at how little options there were for healthy alternatives. We were therefore very keen and excited to bring a piece of Bondi to Ashley Cross. We have been trading since March 17 with our shop in Ashley Cross and applied for our loan at the start of August. We are now ready to move forward with a second location and take advantage of first mover positions in Dorset. The funds will be used to fund a second Blue Orange Juice Bar and a commercial cold pressed juicer which will enable us to extend the shelf life of our juicers and create efficiencies in our processes allowing our staff to interact further with our customer base. Opening our first shop! Neither of us had any experience with retail or running this type of business and so it was a learning curve all the way for the first couple of months. We’re now very keen to put in place what we’ve learnt with a new shop. We have a model to open another 3 shops over the next 18 months across Dorset as well as expanding our distribution model to local businesses such as cafes, gyms or sports groups. We want to be recognised as the leading juice brand in Dorset with expansion potential to take the brand further across the UK.